I was thinking on this cage or KrashOffroad . I like how the CageWrx comes keyed for placement, How do you like your cagewrx cage ? I am also thinking about a cage from KrashOffroad or a Cagewrx's kit. 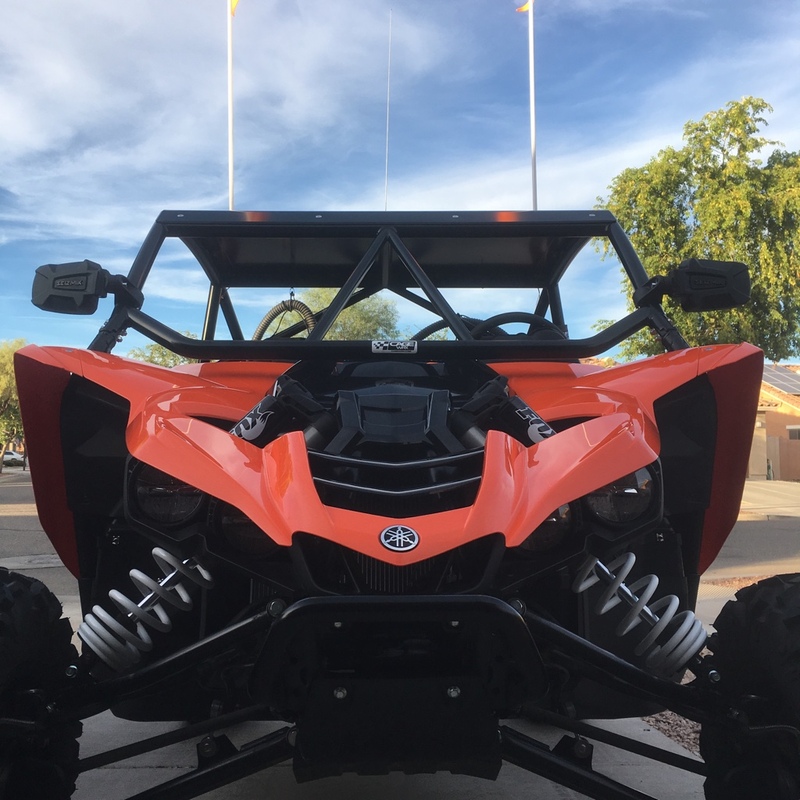 If its about saving money I might have to go with the kit and pay a friend to weld it up, but KrashOffroad will set your cage up with exactly what you want. I will guarantee that your buddy will not be able to replicate what chad Is doing day in and day out on his own stuff. I would let him do what he does best and build it for you. I would have loved to save the money and buy other upgrades but the professionally built cage is well worth the extra money imo. If you have a skilled fitter/welder Cage WRKS is as good as you can get from anyone, maybe better. The tubes are precision cut, bent and notched. DOM 095 Tubing is what they build their cages out of, just like 99% of all fabricators, unless you opt for a molly cage which would be lighter. They may have that option also. If you like the way their Super Shorty cage looks then by all means go for it. GREAT VALUE. I would like to see them straighten the A pillars out and roof lines. 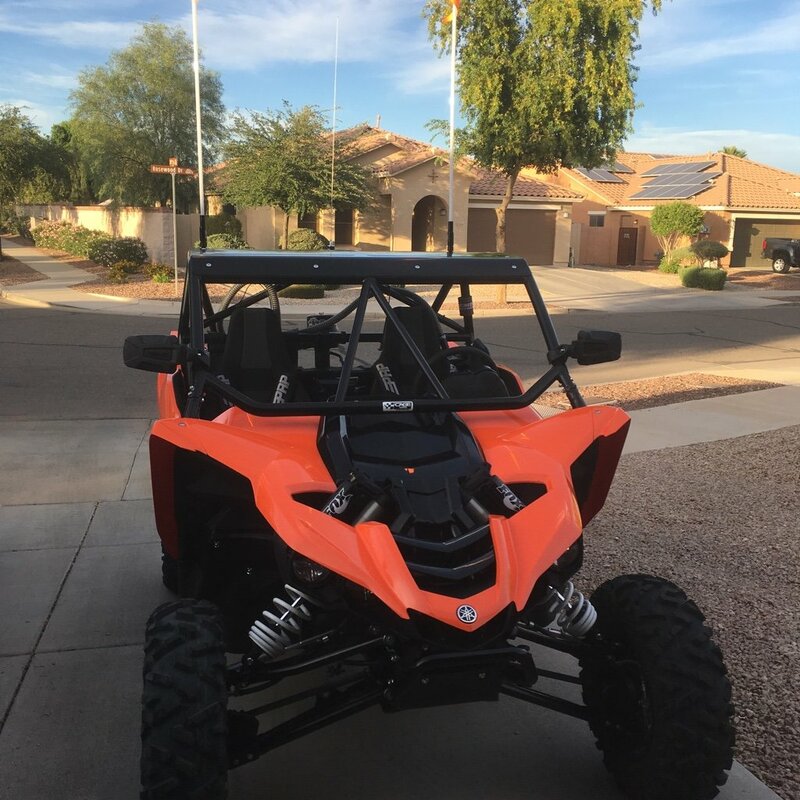 They need to build the same cage for the YXZ they offer for the XP 1000, "Baja" SCORE/ BITD race legal cage. They would sell a lot more they think. They also offer complete cages, jut like every one else. Dont let the super shorty name fool you. I am 6'3" and wear a top draft pumper helmet and still have tons of room to spare. Chad Ragland is a super nice dude as well. Looks Good. wonder if anyone will be having a Black Friday sale?? I have the Super Shorty as well, saved a lot by welding it up myself. I am not a professional welder but have been welding for a very long time. On a scale of 10 on looks it is prolly a 6 lol (mig. Welder) on the same scale for streanth it is a 10, had it powder coated locally black for 20 bucks, it won't will any beauty contest but it was very easy to assemble and the steel welds really nice, notching was spot on start to finish after work to Midnight. Figured l saved at least 700.00, that money went a long way for getting my new Eibach Springs. Obviously l was not worried about a "Show and Shine contest" but rather safety and a nice looking Cage (from a few feet away lol) never regretted doing it myself, l would have even Stick welded it if l didn't have a Mig. Just make sure it's spot welded good before you remove it to finish it up. If you have a Buddie that welds and you don't, give him a buck fifty and spend the afternoon w/him to assist. He should be very happy w/that, he will prolly even feel a little guilty you paid him that much. Hope this helps your decision. dcvt16 and Gunit like this. Hey Man,Thanks for input and your honesty on this, One good thing for me is i can weld, I have a Mig at home and a Tig at work, I even have a JD-square tube bender from all my other stuff i built, I was just thinking of getting this kit to simplify it and then i could add a rear bumper and all the good stuff my self, maybe just build the hole thing myself. Cool I will look them up.